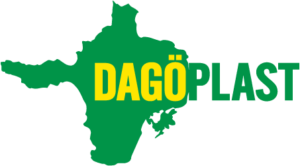 Dagöplast AS are uniquely experienced in manufacturing cable protection & warning tapes for all types of underground cables. We supply many specialist sectors including the construction industry, telecommunications industry and utility providers, amongst others. Cable protection & warning tapes are intended as a clear visual alert for excavators that they need to be aware of cables in the ground. Our cable protector covers and marking tapes are easy to install and reduce time and costs on construction projects. Cable protectors are available in yellow and red conforming to worldwide conventions on visibility and safety. We offer one color printing (normally date of installation and/or cable type) on all cable protectors produced. 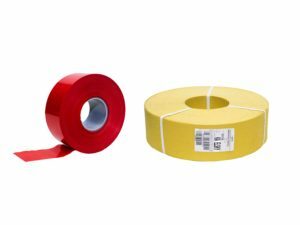 Marking tape is available in a variety of widths and thicknesses and can be printed in up to 3 colors. 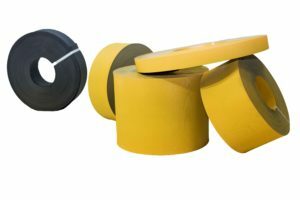 We specialize in manufacturing cable protection & warning tapes exclusively from post consumer, recycled materials and available in widths from 50mm up to 700mm. If your business is involved in laying telecom or fibre optic cables, gas or water pipes, contact us for more information on our cable protection systems. To discuss your requirements and receive a quote on cable protection and warning tapes, please contact us.